Welcome to Cyprusailing.com. 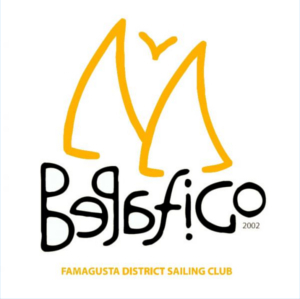 This website is dedicated to everything about sailing in Cyprus. Cyprusailing.com provides a wealth of information to people who share our love of the sea and sailing. Our aim is to provide assistance to sailors from across the world, who plan to travel by boat to Cyprus. In addition, we aim to assist local boat owners who want to experience and enjoy the many and varied beauties of our island, We would also like to help beginners who want to give sailing a try and those who want to train or just have fun with their favorite hobby whilst holidaying in Cyprus..At Cyprusailing.com you will find a great deal of information about the many potential anchorages in Cyprus, details of our amazing marinas, tiny little ports and scenic fishing shelters. Here at Cyprusailing.com you will also find information on rental points for sailing dinghies as well as windsurfing and kitesurfing hire. You can also find out about all the sailing clubs, academies and schools in Cyprus catering either for dinghy sailing, coastal sailing or offshore sailing.The Cyprusailing.com directory includes information about services provided by yacht charter companies, boat dealers, spare parts stores and vessel maintenance and repair services for both boats, marine engines and sails. Finally, under the category ‘crew / boat finder’ we aim to create an index of crews searching for vessels or vice versa, for a trip, an excursion or for participation in a regatta. The geographical position, the weather conditions throughout the year and the coastal geology of the island, make Cyprus an ideal place for enjoying sailing and are what make Cyprus a favorite destination for sailors from across the globe. Discover the natural beauty of the Mediterranean by sailing the blue waters of history. It is a very posh, full service marina having nicer showers and toilets than most hotels. Their summer daily rates are astronomical but the wintering rate, with discount, is reasonable. Vizakia Beach (Panayia on some charts) is small and less developed than Konnos or Fig Tree. There are no jet ski rentals here. Anchor in the center outside the swim buoys in 6 to 8 meters over sand. Cyprus Tourism Organization Restaurant (BATHS OF APHRODITE) at top of cliff with hundred steps. Drop anchor on lee side of small rock-island with a memory-cross on the top. Α smallish anchorage open to the south but protected from most weather.